At MBA, our agents specialize in both media and publishing so are uniquely placed to help you build and sustain a successful writing career. 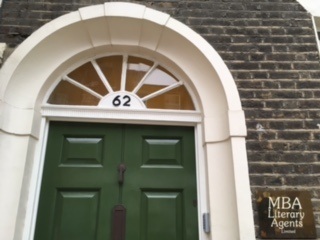 If you are a published or unpublished author, a script writer for TV, film and radio, a theatre playwright, or if you combine several of those creative talents, MBA could be the literary agency for you. At MBA we are dedicated to excellence, and with our combined experience of editorial, rights, publicity and marketing we are ideally positioned to offer support to writers of fiction, non-fiction and children’s books. We will work with you at all stages of development, from proposals and pitches, to promotion and marketing, including via social media. Equally, years of experience in film, television, radio and theatre have enabled us to build partnerships and relationships with a wide variety of industry professionals: essential in today’s highly competitive and evolving media environment. We have a dedicated contracts department, which supports our agents in attaining the best possible deal for the client, and have a deserved reputation for fiercely protecting our clients’ interests in contract negotiations. Our financial director has over forty years’ experience of navigating the minefields of VAT, royalties, tax exemption and residuals. We relish the achievements of our foreign rights team in selling many of our UK-published books in translation, and also spreading the word about our authors worldwide, through their extensive network of contacts, and attendance at international trade fairs like Frankfurt, Seoul and London. We also work with top literary and TV/film agents, on the East and West Coasts of America, in Canada, Australia and New Zealand. The synergy of TV and book has been a particular success, and we represent numerous bestsellers from sports personalities to TV reality stars. In recent years we have exploited our considerable backlist to great commercial success in partnership with several of the recently established ebook publishing ventures, and optioned many of our books for TV and film. MBA agents devote considerable energy to the assessment of thousands of submissions a year, and support the discovery and development of new writers. Above all, we pride ourselves on our loyalty to clients, proactive support and passionate commitment to our clients’ work.